Indians began casting votes for their lower house of parliament on Thursday, in an election that represents a referendum on Prime Minister Narendra Modi. Why it matters: The elections are taking place amid worries about unemployment, recent tensions with Pakistan and the future of secularism in India. How it works: India's 900 million eligible voters will be able to cast their ballots in more than 1 million polling stations across 29 states and 7 Union Territories. To accommodate this scale and assure security at polling stations, voting will take place on 7 dates between April 11 and May 19, with the ballot count beginning May 23. 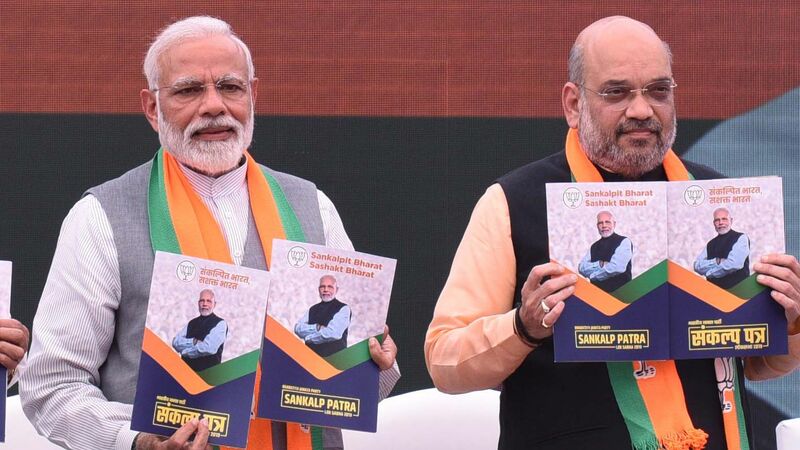 India’s complex political landscape — with 7 national, 56 state-level and more than 2000 other political parties — presents voters with diverse options at the ballot box. Where it stands: Prime Minister Narendra Modi of the Hindu nationalist Bharatiya Janata Party heads a single-party majority government. The Indian National Congress, the other major national party, has formed a “grand alliance” with some 20 parties in the hopes of dislodging the BJP and its allies and restoring India’s tradition of secular politics. Modi campaigned 5 years ago on a platform of jobs, economic growth and good governance. While India has seen comparatively good economic growth, it has not created enough jobs for the bulging youth demographic, and unemployment has reached a 45-year high. Rural voters, who make up more than 66% of the population and depend overwhelmingly on agriculture, have been hurt by a collapse in food prices and poor rainfall. Yet Modi may have shored up support among voters focused on terrorism and national security with his decision to order airstrikes in response to a recent suicide bombing claimed by a Pakistan-based terrorist group. What to watch: Conventional wisdom sees Modi likely to return to power, though with fewer seats, requiring coalition support to form the next government. But Indian voters have delivered surprises before. With an election of this scale and complexity, nothing’s over until the last ballot is counted.